Trying to find pubs in Canterbury? You’ve come to the right place. We’ve got every pub and bar in the UK listed. 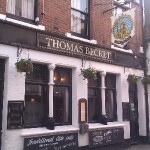 Whether you’re looking for a pub or bar in Canterbury to play darts, somewhere to play pool or just want to have a look at a menu before you go, we can help. Loft in Canterbury has a beer garden. The pub has an outside area, it has DJ's. Loft has karaoke. The pub has live music events. Alberrys in Canterbury has a cocktail bar. The pub serves food. Canterbury Conservative Club in Canterbury has a dart board. The pub holds Poker Nights, it has a pool table. 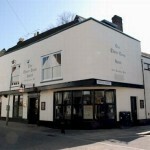 Canterbury Conservative Club holds quiz nights. The pub shows football on TV, it has terrestrial TV. Three Tuns in Canterbury has a beer garden. The pub has disabled facilities, it is a family friendly pub. Three Tuns serves food. The pub serves real ale, it has a real fire. Three Tuns has free WiFi. The pub has a pool table, it is a member of Cask Marque. 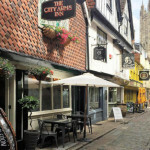 The City Arms is a traditional 15th Century Pub situated in the heart of Canterbury where you will be guaranteed a warm welcome. An elegant establishment with an adjoining wine bar, it’s a wonderful place to enjoy dinner and drinks, with a firm focus on beautiful home-grown ingredients. Flying Horse in Canterbury has a beer garden. The pub has a car park, it has an outside area. Flying Horse shows football on TV. The pub has terrestrial TV. Umbrette in Canterbury has free WiFi. The pub has a pool table, it has a big screen. Umbrette shows football on TV. The pub has Sky Sports, it has terrestrial TV. Foundry Brew Pub in Canterbury serves food. The pub serves real ale. Cherry Tree in Canterbury has a beer garden. The pub has disabled facilities, it is a family friendly pub. Cherry Tree serves food. The pub has an outside area, it serves real ale. Cherry Tree has DJ's. The pub has karaoke, it holds Poker Nights. Cherry Tree has a big screen. The pub shows football on TV, it has Sky Sports. Cherry Tree has terrestrial TV. The pub is a member of Cask Marque. 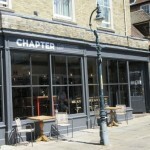 Centrally located on Burgate, Chapter is an idyllic venue to gather with friends, dine with family and relax from morning through to night. 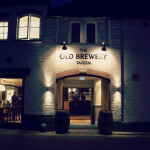 Old Brewery Tavern in Canterbury serves food. Bing in Canterbury has a beer garden. The pub has a car park, it has an outside area. Bing has free WiFi. 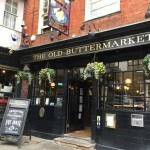 Richard Harris Barham was born in 1788, at 61 Burgate, across the road from this Wetherspoon pub. 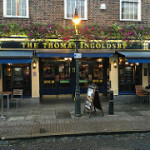 Using the pen name Thomas Ingoldsby, he wrote The Ingoldsby Legends which first appeared in 1840, in a periodical edited by Charles Dickens. 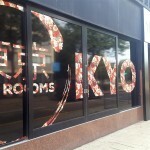 Tokyo Tea Rooms in Canterbury holds quiz nights. 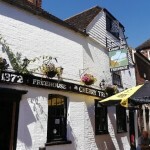 The White Hart is a wonderful pub and has the largest beer garden in Canterbury! 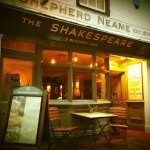 It offers a great pub quiz, outstanding homemade food and welcomes dogs and children. Limes Lounge in Canterbury has a beer garden. The pub has an outside area, it has a smoking area. Limes Lounge has free WiFi. The pub shows football on TV, it has Sky Sports. Limes Lounge has terrestrial TV.